06/02/2014: A pedestrian stop in the 200 block of West Gloucester Pike resulted in the arrest of a 32-year-old male who had outstanding warrants for his arrest. 06/02/2014: A motor vehicle stop in the 900 block of Clements Bridge Road resulted in a 22-year-old female passenger in the vehicle being arrested for outstanding warrants. The 28-year-old male driver was ticketed for being a suspended driver and the vehicle was towed. 06/03/2014: A pedestrian stop in the 300 block of Trenton Avenue resulted in the arrest of a 41-year-old male who had outstanding warrants for his arrest and was found to be in possession of controlled-dangerous-substance paraphernalia. 06/04/2014: A motor vehicle stop on the White Horse Pike resulted in the arrest of the 33-year-old male driver for an outstanding warrant for his arrest. Male was also charged with being a suspended driver, not having insurance and failing to surrender his driver’s license. 06/05/2014: A motor vehicle stop on the unit block of Page Avenue resulted in the arrest of a 59-year-old male for driving while intoxicated. The male was additionally charged with obstructing the administration of law, disorderly conduct, and assaulting a law enforcement officer. He was also issued several motor vehicle summons stemming from the motor vehicle stop. 06/06/2014: A report of a stove fire was confirmed on the 200 block of Princeton Road. 06/06/2014: A DWI Check Point was conducted on the 1200 block of Clements Bridge Road. 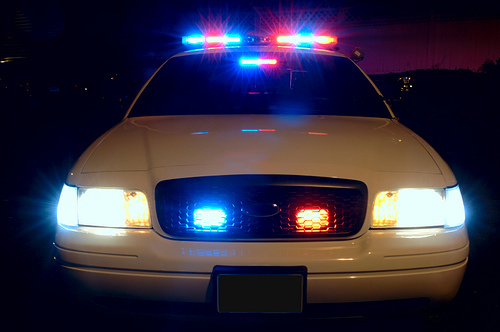 Two DWI arrests were made as a result of the check point. 06/08/2014: A report of a fight on the 200 block of the White Horse Pike resulted in a 46-year-old male being arrested for disorderly conduct, obstructing the administration of law and resisting arrest. 06/09/2014: A report of a car burglary was made on the 1200 block of Chesterfield Road. The resident had an iPod and loose change taken from an unlocked motor vehicle. 06/11/2014: A motor vehicle stop on the 200 block of White Horse Pike for a severely cracked windshield, resulting in the arrest of the 37-year-old male driver for an outstanding arrest warrant and the 44-year-old passenger for possession of a controlled dangerous substance. 06/16/2014: A report of criminal mischief was taken in the 200 block of Clements Bridge Road. Two windows were damaged along with some siding. 06/16/2014: A mobile inspection detail was completed on the 200 block of White Horse Pike. Multiple summonses were issued, a controlled dangerous substance arrest was made and one vehicle was impounded. 06/16/2014: A Craigslist fraud was reported on the unit block of Moore Avenue. A resident was sent a check to cash for advertising work and it turned out to be fraudulent. 06/16/2014: A report of a male panhandling in the area of 1200 Clements Bridge Road resulted in a 37- year-old male being charged. 06/17/2014: A report of criminal mischief was received on the 200 block of South Moore Avenue. A resident had the rear window of his work truck smashed by an unknown object. 06/19/2014: A motor vehicle stop in the 200 block of White Horse Pike resulted in the arrest of a 23-year-old male for an outstanding arrest warrant. He was also subsequently issued a summons for being a suspended driver. 06/19/2014: A burglary was reported on Reamer Drive. Items stolen included power and hand tools. 06/19/2014: A burglary was reported in the unit block of Barr Drive. Items taken included a TV and medication. 06/21/2014: A burglary was reported in the 1206 building of the Willows Apartments. 06/21/2014: A suspicious package containing drugs was turned over to police on the unit block of Commerce Drive. 06/21/2014: A motor vehicle stop for a right turn on red was conducted on the 200 block of Highland Avenue. The driver was issued a summons for the turn and a 27-year-old male passenger was arrested for having outstanding warrants. 06/21/2014: A report of criminal mischief to a vehicle was reported in the 200 block of Trenton Avenue. 06/22/2014: A motor vehicle stop in the 1200 block of Clements Bridge Road resulted in the arrest of the 36-year-old male driver for driving while intoxicated. 06/23/2014: A report of two males going door to door selling meat from a truck was received on Beaver Drive. The two males were found to not have a permit for the door to door sales and were issued summons for the violation. 06/25/2014: A report of identity theft was made in the 500 block of Thomas Avenue. 06/25/2014: A pedestrian stop in the 500 block of Clements Bridge Road resulted in the arrest of a 34-year-old female for an outstanding warrant. 06/25/2014: A report of a theft of a wallet was received on the 1400 block of Warwick Road. 06/28/2014: A report of a female creating a disturbance in the 4000 building of the Barrington Mews resulted in a 53-year-old female being charged as a disorderly person. 06/30/2014: A report was taken from a single residence on the 1200 block of Oakwood Road for four unlocked vehicles that were burglarized and had loose change taken from each. 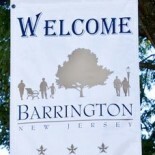 This entry was posted on July 30, 2014 by Barrington Bulletin in Crime and tagged police log.